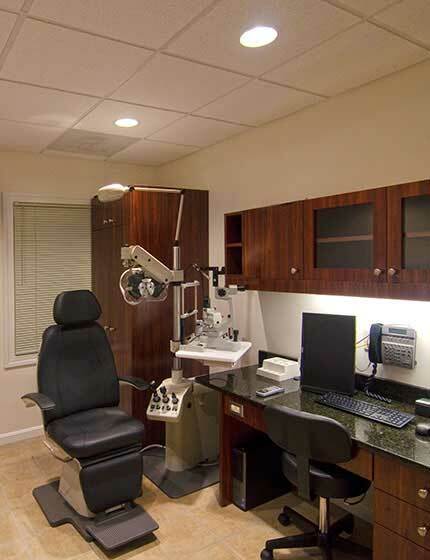 The Eye Center is at the forefront of vision correction procedures, but the field has become competitive in the decades since the Center was founded. 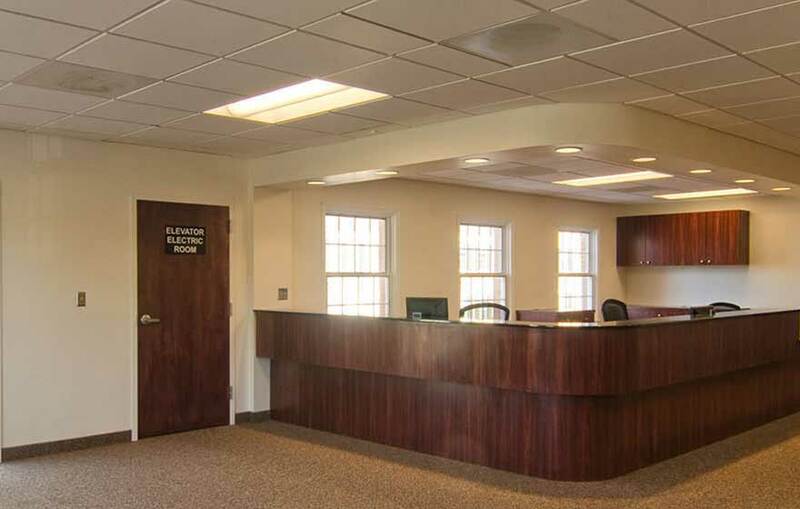 With the renovation of a high-profile location, the client wanted to provide a superior customer environment while meeting the demands of a healthcare facility. Studio 343 met the client’s rigorous timeline, even fast-tracking regulatory approvals. In addition to the revitalization of the interior surgical suites, laboratories and administrative areas, the design added an exterior tower that strongly identifies the building entry. Opaque panels on the tower diffuse natural light into the interior and, when backlit, project a warm glow into the night sky.